It's hard not to notice Mexican tile. This natural clay tile with its colorful and intricate patterns makes a stylish impact to any home or business. It's beautiful, practical, and easy to maintain, but it is very porous. Without sealing, the color and character of the tile could dramatically change from dirt, scratches...even spills from water or rain. 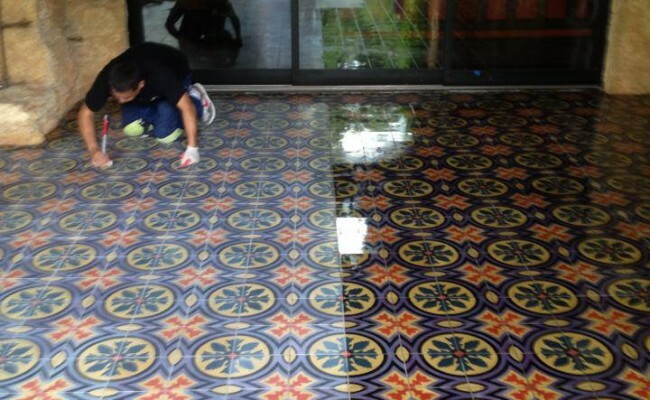 This Mexican tile floor was exposed to foot traffic and outdoor exposure. The floor was sealed years ago, but the sealer has slowly worn away and the tile has lost its vibrant colors. In just a few hours, our tile experts at Stonewood Hard Surface Cleaning & Restoration were able to carefully clean the tile, remove stains, strip away what was left of the old finish, and apply an industrial-strength enhancing sealer, not only to protect, but also to bring out the beautiful colors of the tile. Leave it to the experts at Stonewood Hard Surface Cleaning & Restoration. 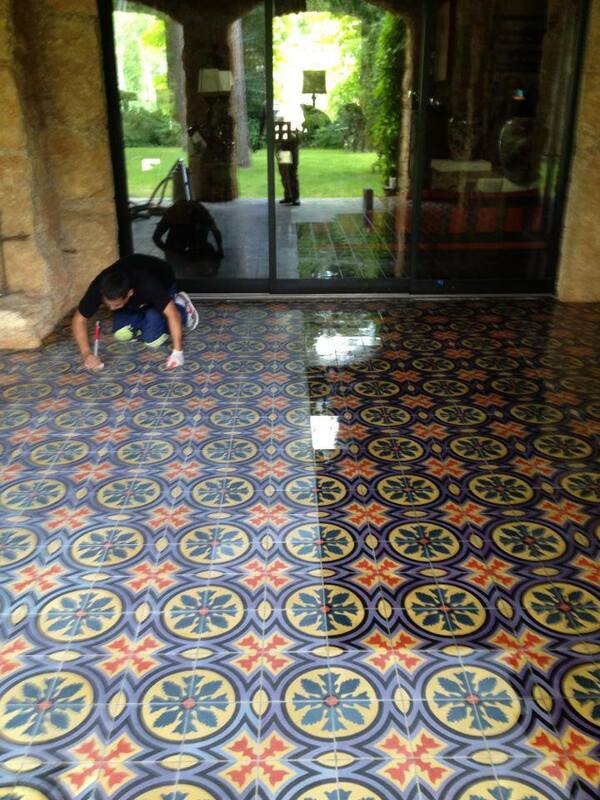 We are a Certified Stone and Tile PRO Partner and provide expert restoration services throughout the Houston area. Contact us today!